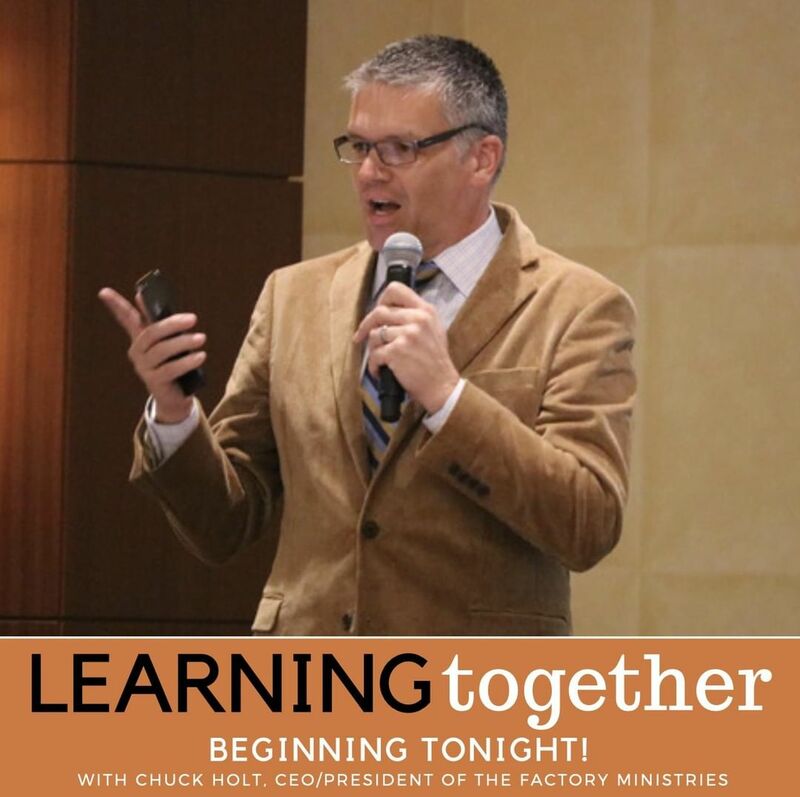 The Factory Ministries | Learning Together begins TONIGHT! Learning Together is a brand new workshop series held at the Together Community Center every Tuesday evening from 6:00pm-7:30pm. Each week, local experts will lead classes which include new understandings on poverty through the Bridges Out of Poverty framework. We are grateful to have so many local speakers who are willing to share such valuable information. To begin, Chuck Holt, CEO/President of The Factory Ministries & certified Bridges Out of Poverty trainer will be discussing the four foundational truths that we need to understand to address systemic issues of poverty. Learning Together is an open class, where all are welcome and encouraged to join! Call 717-687-9594 to register. Learning Together begins TONIGHT! Learning Together is a brand new workshop series held at the Together Community Center every Tuesday evening from 6:00pm-7:30pm. Each week, local experts will lead classes which include new understandings on poverty through the Bridges Out of Poverty framework. We are grateful to have so many local speakers who are willing to share such valuable information. To begin, Chuck Holt, CEO/President of The Factory Ministries & certified Bridges Out of Poverty trainer will be discussing the four foundational truths that we need to understand to address systemic issues of poverty. Learning Together is an open class, where all are welcome and encouraged to join! Call 717-687-9594 to register. Home > Learning Together begins TONIGHT! Learning Together is a brand new workshop series held at the Together Community Center every Tuesday evening from 6:00pm-7:30pm. Each week, local experts will lead classes which include new understandings on poverty through the Bridges Out of Poverty framework. We are grateful to have so many local speakers who are willing to share such valuable information. To begin, Chuck Holt, CEO/President of The Factory Ministries & certified Bridges Out of Poverty trainer will be discussing the four foundational truths that we need to understand to address systemic issues of poverty. Learning Together is an open class, where all are welcome and encouraged to join! Call 717-687-9594 to register.